Simon Andersen, creator of a little game called Owlboy, has a really cool hobby. In his spare time, he makes mockups of hypothetical game sequels he’d love to see happen. After finishing up Owlboy, which infamously took ten years to make, this latest project seemed to be somewhat of a palette cleanser. It also happens to be a mockup of one of the most demanded sequels of all time, one that slipped through our fingers and broke our hearts so many years ago. I’m talking about Chrono Break, the sequel to all-time classics Chrono Trigger and Chrono Cross (and Radical Dreamers if you want). It’s a sequel that, at one point, was real, but never made it past the early stages before it was shelved forever. Chrono Trigger continues to be released in various forms, but that’s it. Andersen dreamed of a world in which Chrono Break exists, and he was kind enough to share it with all of us. Watch the video, and be amazed. Andersen says in the video’s description that this was the most ambitious free time project he’s ever made, and it took him a year just to come up with the concept, then another two months to actually make it. 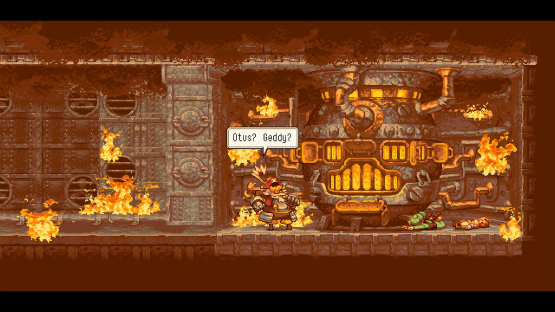 It also features music by Johnathan Geer, who of course did the Owlboy soundtrack.